Take a read of my column in this weeks Best to find out how to battle spots and pimples! 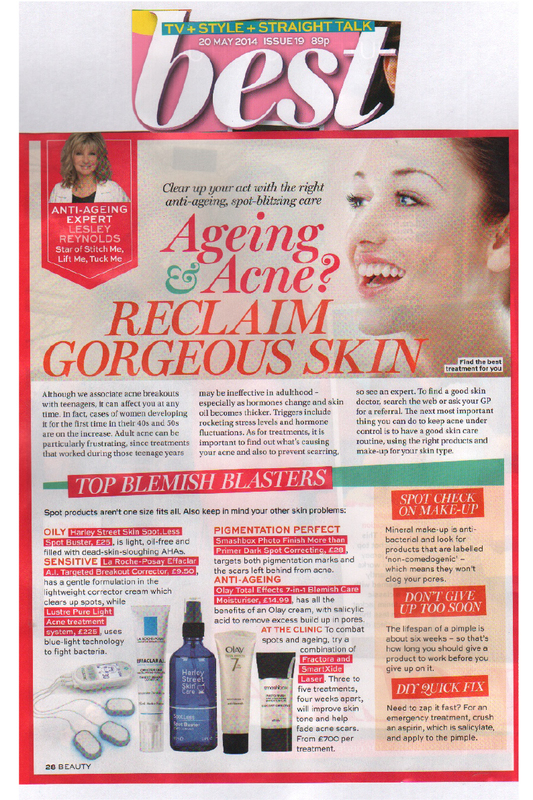 This entry was posted in Anti-Ageing, Ask the expert, party make up, sequins, Uncategorized, Winter Skin and tagged anti-ageing, Best magazine, blemishes, fractora, La Roche-Posay Effacler A.I Tergeted Breakout Corrector, Lesley Reynold's beauty column, Lesley Reynolds, Lustre Pure Light, Mineral make up, Olay Total Effects, pimples, Smartxide Laser, Smashbox Photo Finish, spots. Bookmark the permalink.